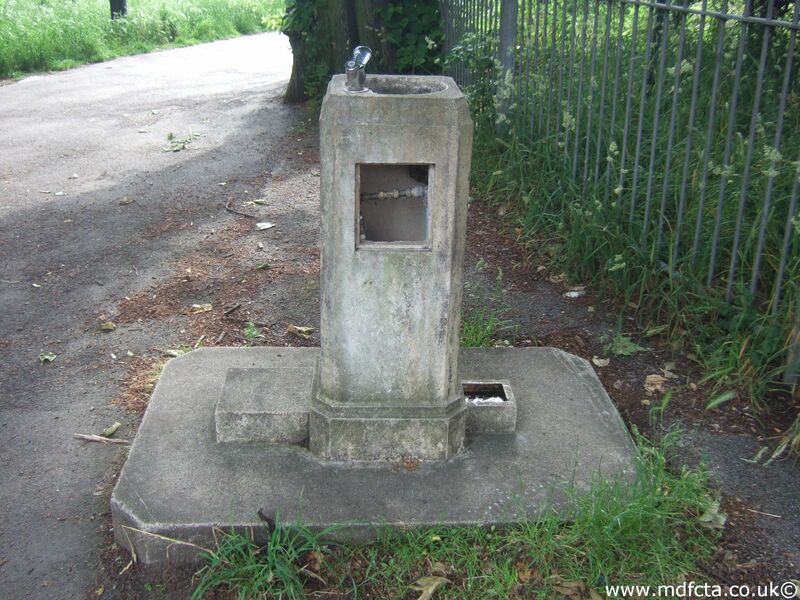 Are there any more Metropolitan Drinking Fountain and Cattle Trough Association cattle troughs in Hampshire? 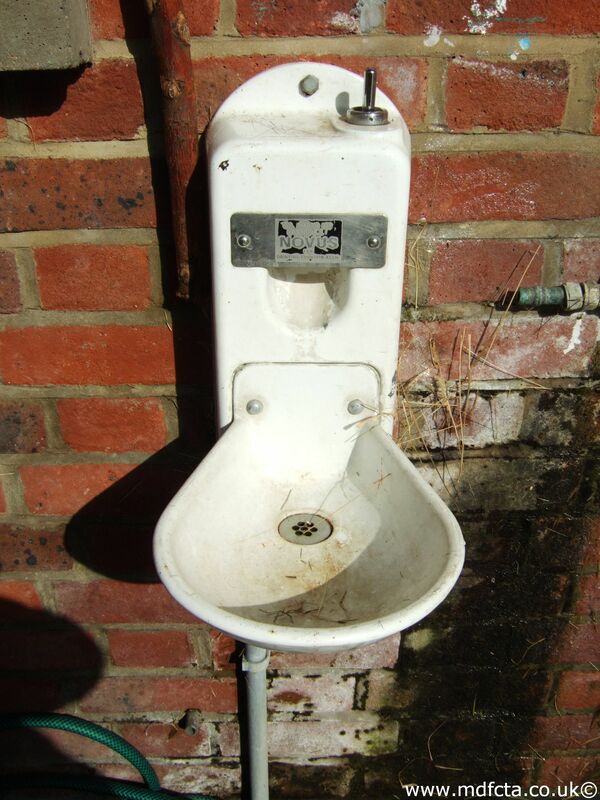 If you know of any other cattle troughs in Hampshire please send me details. 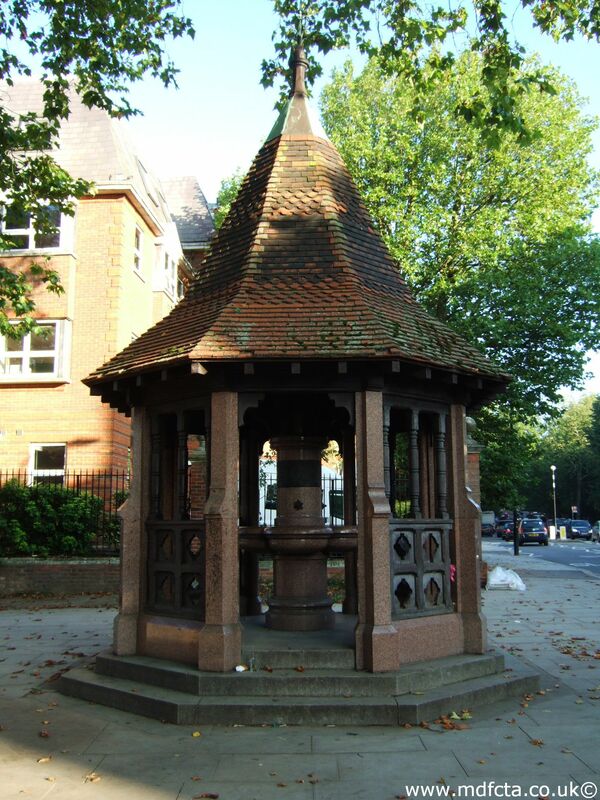 In July 1903 two 9ft 6in troughs [1562 & 1563] were erected in Aldershot. 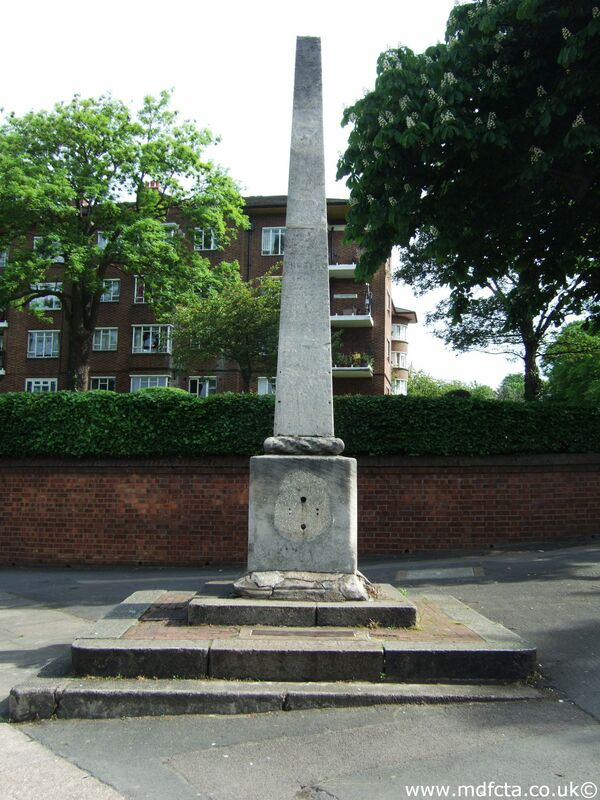 One opposite the L&SWR station; the other opposite the Artillery Barracks posisbly with an RSPCA inscription. 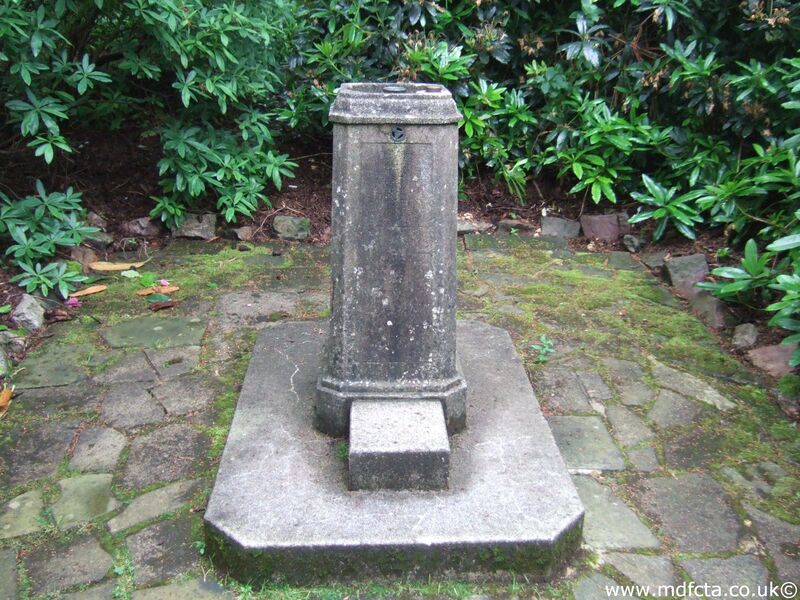 In 1899 a 9ft 6in trough  was erected in Basingstoke at the bottom of Station Hill. This trough may have been demolished, together with the nearby Reformer's Tree, during the building of the new town centre. 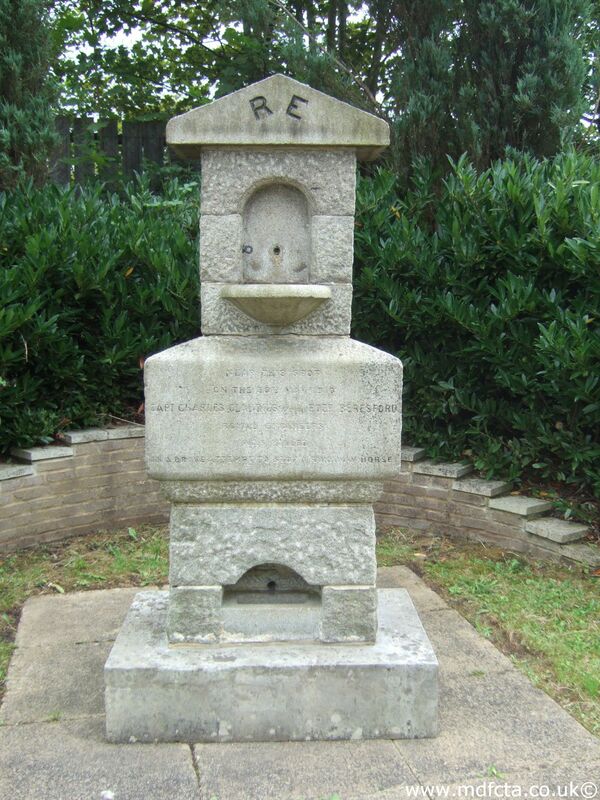 On 17 July 1929 a 6ft 6in trough  was erected in Basingstoke, Winton Square by the local RSPCA. This may have been removed in 1947. 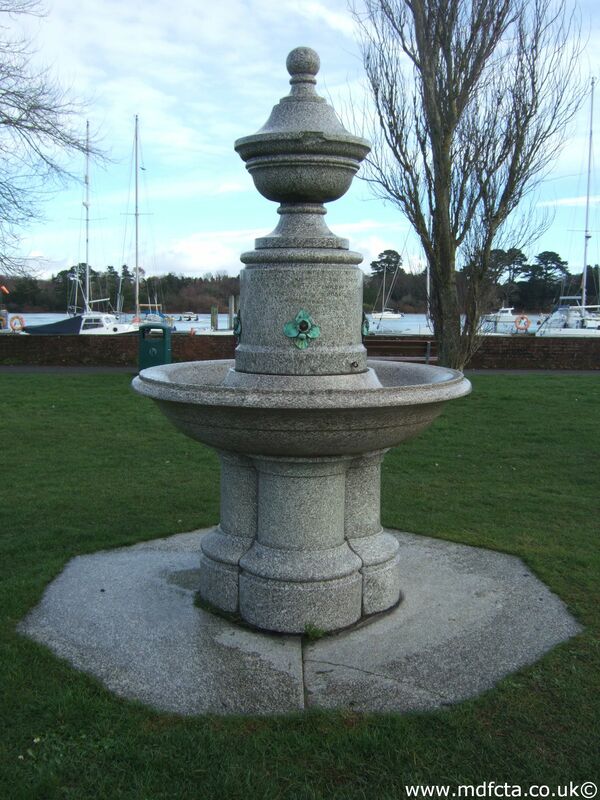 In April 1884 a 9ft 6in trough  was erected in Gosport. 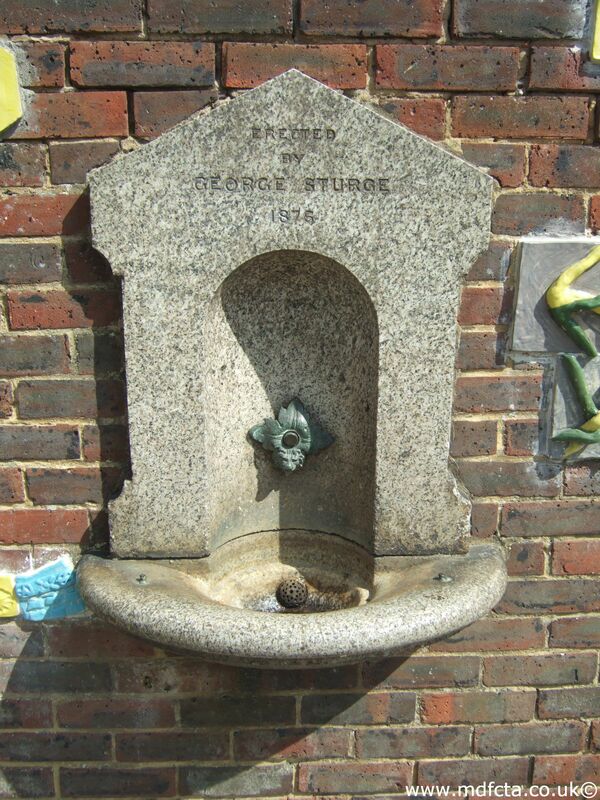 In 1903 a 9ft 6in trough  was erected in Portsmouth, Camber Yard. This trough was in red granite and was paid for by the local branch of the RSPCA. 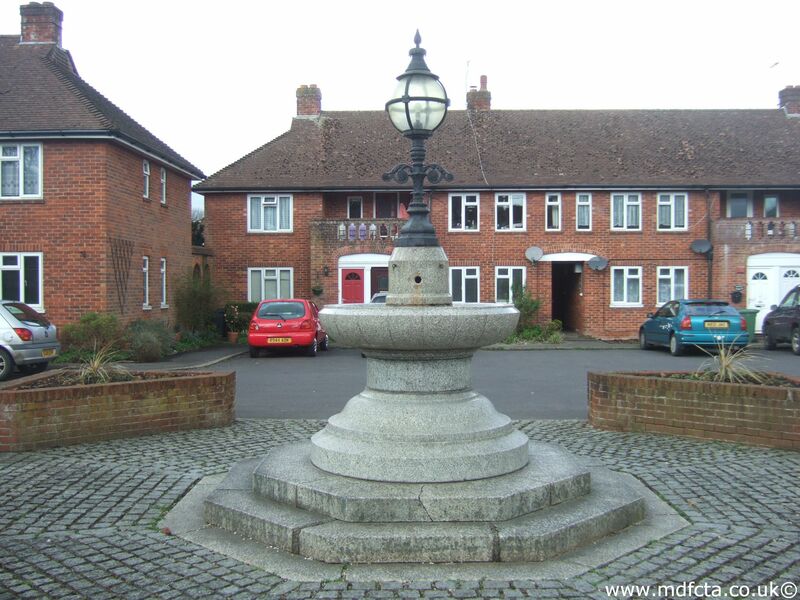 In July 1902 a 9ft 6in trough  was erected in Woolston. 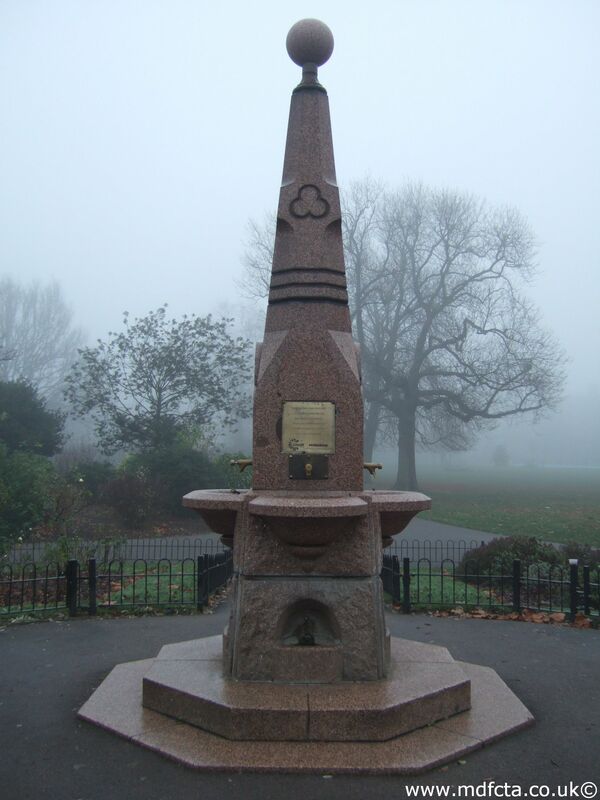 Inscription: “Erected by voluntary contributions, 26th June 1902”. An MDFCTA trough may have been moved to The Mill House, Eversley. An MDFCTA trough may have been moved to 18 Ashburton Road, Alvenstoke, near Gosport. An MDFCTA trough may have been moved to Rhinefield House, Brockenhurst. 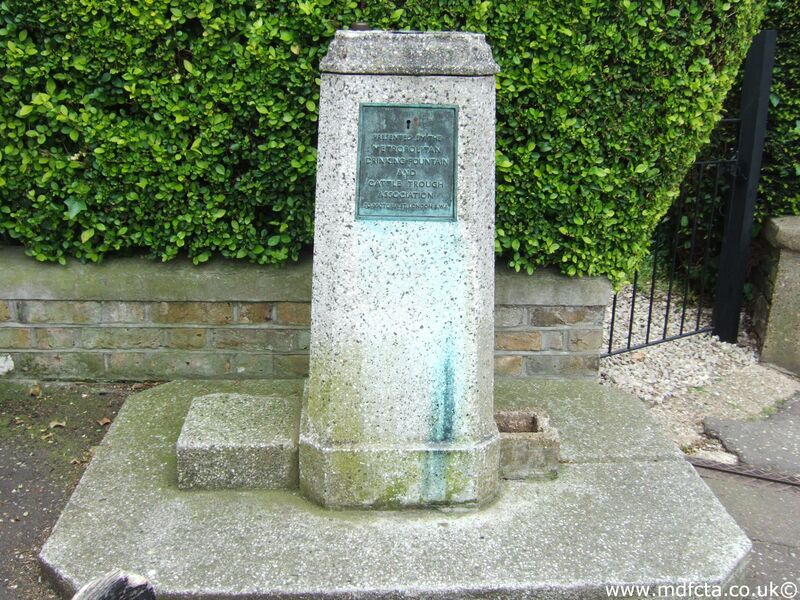 An MDFCTA trough may have been moved to Weyhill, Andover by a Victor Dunning. 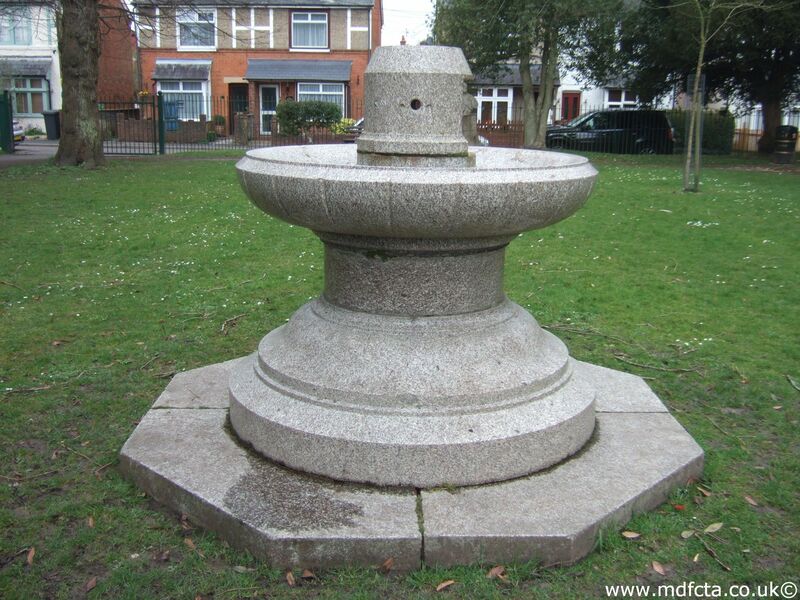 Are there any more Metropolitan Drinking Fountain and Cattle Trough Association drinking fountains in Hampshire? 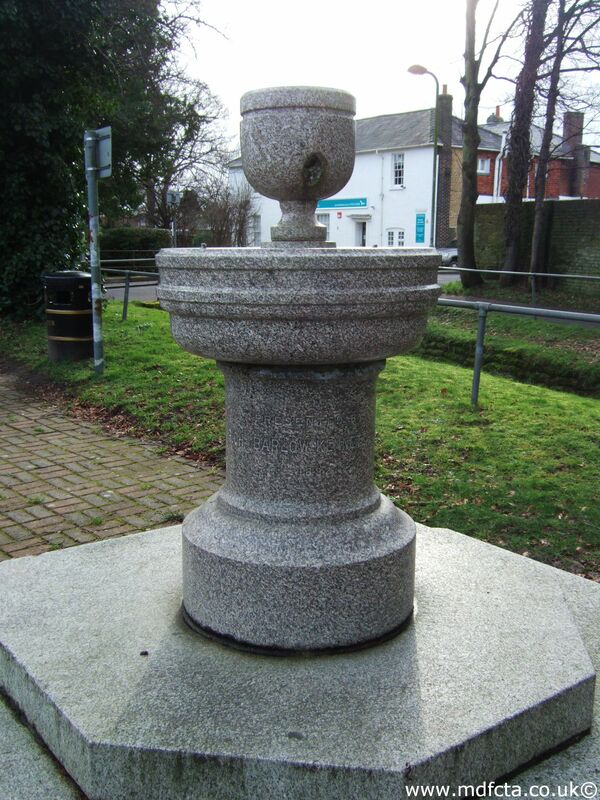 If you know of any other drinking fountains in Hampshire please send me details.